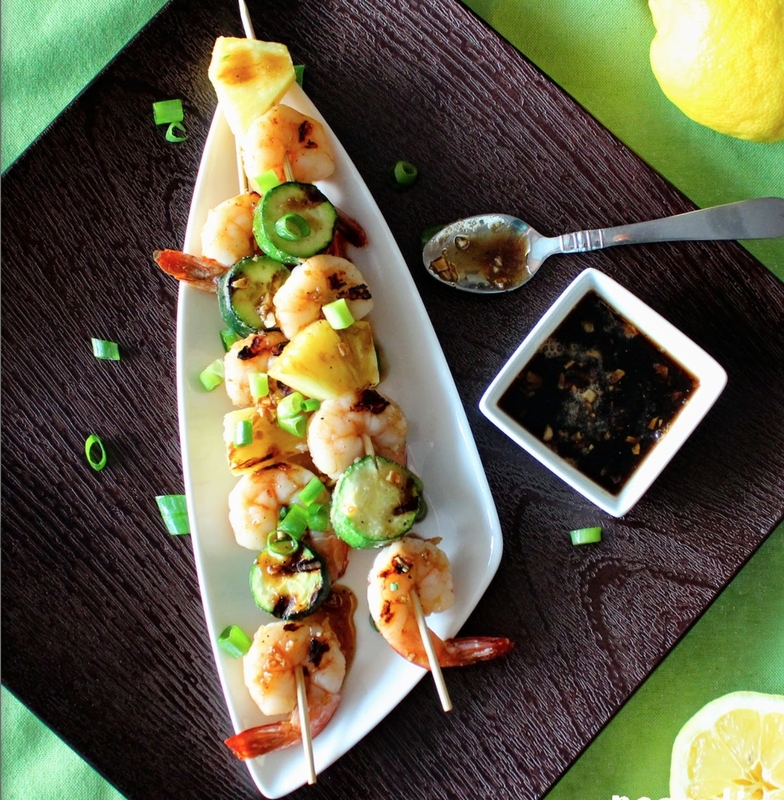 Delicious combo of shrimp, zucchini and pineapple - the glaze brings it all together and is just the right mix of sweet and savory. 1. In a small bowl, whisk honey, soy sauce, lemon juice, garlic, ground ginger and black pepper. 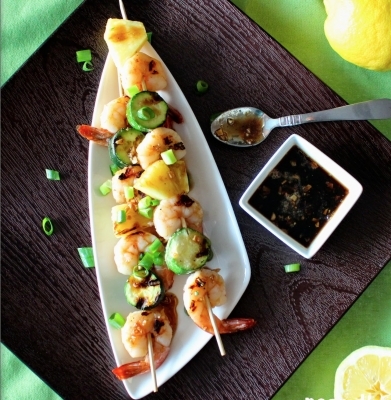 Place the raw shrimp in a large resealable bag and pour about 1/4 cup of the sauce over the shrimp. Squeeze as much air as possible out of the bag and roll into a log, then place in refrigerator to marinate at least 30 minutes. 2. Heat a small pan over medium-high heat and add remaining sauce. Bring to a boil, lower heat to medium and continue to boil for about 5 minutes or until the sauce begins to thicken. Remove from pan and set aside. 3. In a large bowl, toss the zucchini slices with garlic powder and black pepper. 5. Top with green onions and honey soy lemon glaze.